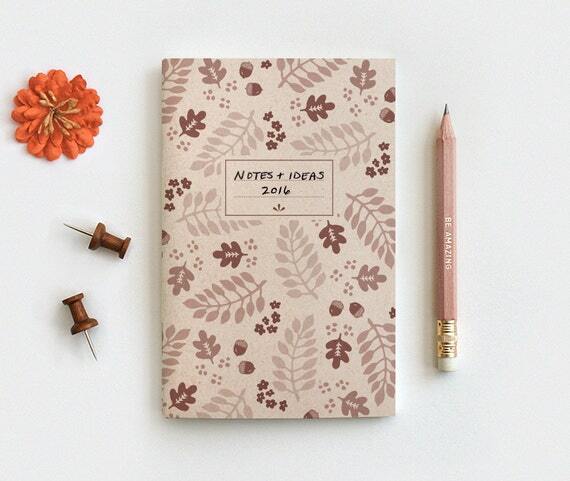 In beautiful brown sepia tones, a new Autumn inspired Notebook & Pencil Set! Featuring my original hand drawn illustration of fall leaves, acorns and flowers, handcrafted from light brown 100% post consumer recycled cardstock. Room to write a name, title or purpose. Available in 3 sizes, with blank, lined or dot grid inside pages. Wonderful gift for Fall and nature lovers.